clamc, wdlfbio, osudaddy and 1 others like this. Tells me she loves me at least 10 times a day. Bryan A., clamc, PMaine and 2 others like this. Heat...on, off, on, off, on, off. And always to extremes..never just a small 5* change. Doesn't realize that when you turn it below current temp ..going back in 5 minutes to turn it down even more doesn't do anything. Sometimes windows open at night, heat still on, 'course hitting full speed into menopause ain't helping. Pours coffee in the sink.....doesn't rinse the sink. Makes me samiches and gets me beer. your wife or my wife? Afishinado, TheRealMacGyver, Reel E and 4 others like this. Has zero concept of time and a complete inability to predict how long straight forward tasks will take. 30 minutes typically means 2 hours. Beuford T. Justice, Bryan A., wdkerek and 5 others like this. fmb3, myyellas2k, Ccamp and 1 others like this. Heat...on, off, on, off, on, off. And always to extremes..never just a small 5* change. I think that's a standard function of some particular female gene!! They all seem to do this!! See it all the time, especially in cars - even those with automated temperature controls and dual zones. 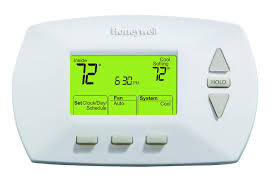 Set to high, fan on high until it gets too hot, then turn it completely OFF until it gets too cold. seawalker57, Fish_DOut, LouiseM and 1 others like this. Toilet paper or paper towel rolls.... you have a 50/50 chance of putting them on "backwards" if you're not paying attention, but they always seem to be "backwards"! BSL and DirtyMikeAndTheBoys like this. Tireless, SeaCat22, seawalker57 and 5 others like this. Until she moved in I never once had to think about which way the roll is "facing"
anyone care to indicate what the correct placement is? End facing up on wall side, end falling down on non-wall side. wdlfbio, fishknut and Shipwreck1 like this. Has the patience of a 3 year old.